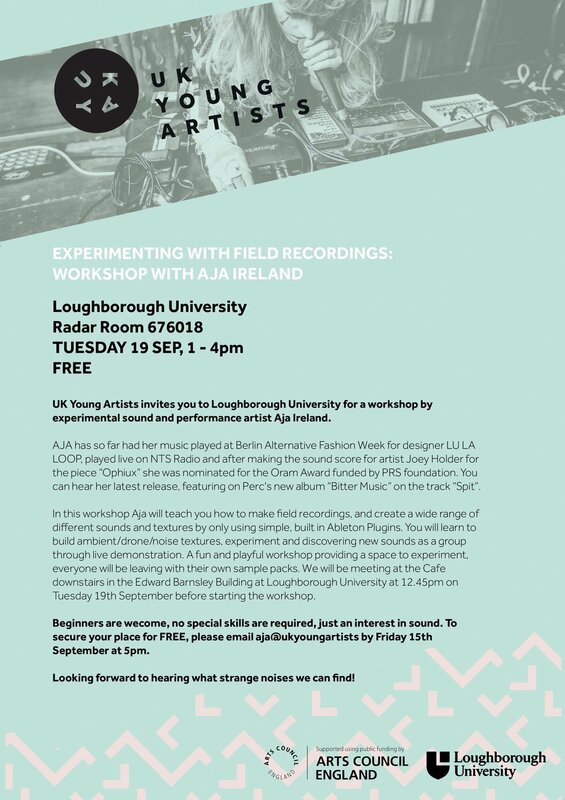 UK Young Artists invites you to a FREE workshop with Aja Ireland, on 19th September between 1-4pm at Loughborough University. Aja will be teaching you how to make field recordings and create a wide range of different sounds and textures by only using simple, built in Ableton Plugins. Email aja@ukyoungartists.co.uk to secure your place. More information below.